During flight-testing of their new gyro prototype just prior to New Year's Day, Carter Aviation Technologies (Carter) reports that their test pilot, George Mitchell, executed several vertical take-offs where the aircraft was able to jump more than 150 feet straight up into the air. According to Mitchell, "It was phenomenal! But, it took a little getting used to. It's not something you do with the average gyro. The "g" meter showed 2.25 Gs on take-off!" 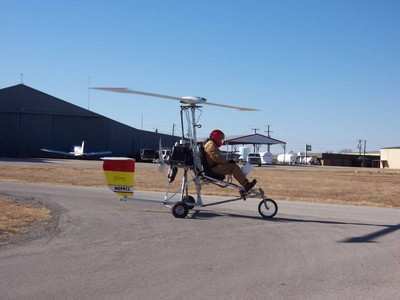 The amazing take-offs were the result of a new rotor system that Carter developed for the gyro. Although the new rotor system was pit-tested to 670 rpm (on a Corvette engine) initial flight-tests began with the rotor rpm well under maximum. As George became more comfortable with the safety aspects of the new rotor system he began testing its capability. One of the first tests was an aborted take-off at minimum jump take-off rpm to prove that the stored energy in the rotor was enough to safely return the pilot to the ground. The test video shows it worked perfectly. Next, he performed a near vertical landing approach and then applied full throttle just feet from the ground for a go-around. Again, the system proved its capability. As Mitchell developed more confidence the rotor rpm was increased to a maximum 490 rpm. It was then that the take-off angle increased to true vertical for 150 feet. If the aircraft was allowed to accelerate forward after the jump take-off it achieved an altitude of about 300 feet before the rotor rpm slowed to cruise. Carter President and CEO, Jay Carter, Jr., was visibly excited. His first comments were, "This is awesome! Now we can show that our basic technology has applications beyond our own designs." The recent flight-tests were a culmination of a series of flight-tests set to prove the capability of several of Carter's basic technological developments. 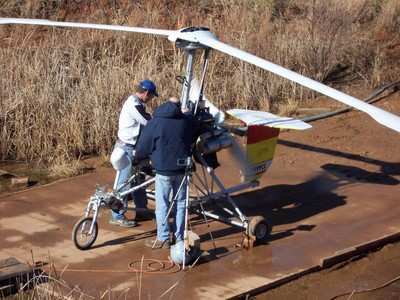 In late 2004 Carter purchased a stock autogyro kit and began integrating their technology into the building of the aircraft. Previously, all of Carter's technology was incorporated into their own prototype so there was no direct comparison of their technology to what was available in the industry. Carter felt this comparison was important to validate their technology. 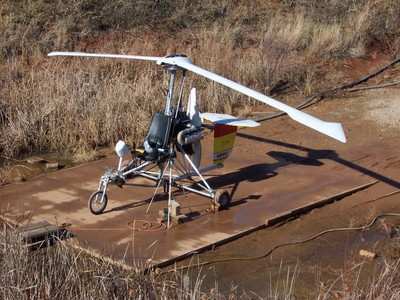 The new gyro prototype was termed the CarterGyro Demonstrator/Trainer (CGD/T or CarterGyro). 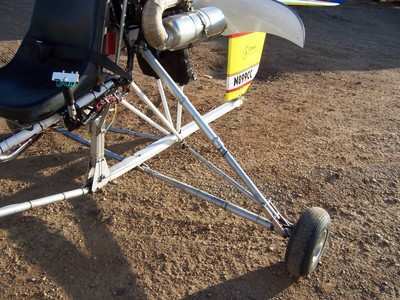 Carter first added their patented landing gear. The gear has a 14-inch stroke and has the ability to absorb a landing impact of up to 6.0 Gs (thus far only 3.5 Gs have been recorded during flight-tests). This is remarkable for a gyro. While under full control, the aircraft can literally drop-in vertically from any altitude safely. Carter's patented, hollow-blade, composite prop was the next addition. Its diameter is 60 inches and it produces 325 pounds of static thrust from 60 HP and yet it weighs only 10.5 lbs with the pitch change controller. In testing, the Carter prop had a 21% increase in efficiency for the same hp as the standard kit prop. Mitchell's report was, "It provides a real kick in the pants for a very short take-off." The 26-foot Carter rotor was added to the CGD/T last summer. The length is the same as the stock rotor although the cord is 2 inches wider. At that time, Carter expected the new rotor to provide more than 3 times the lift of the kit's stock rotor giving the CGD/T jump takeoff capability. To improve the safety of the aircraft and simplify operation Carter developed a mechanical, rotor pitch controller. 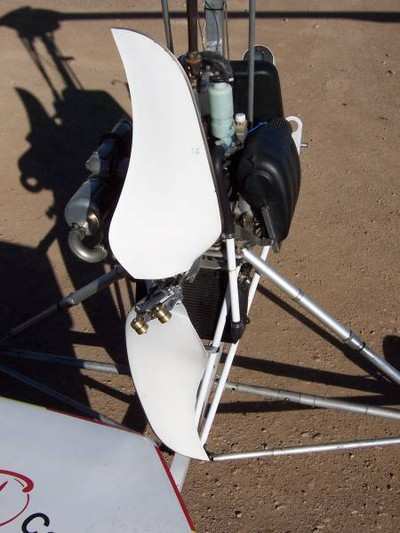 The controller initially holds the rotor pitch flat to minimize the hp required for take-off. When the pilot is ready for take-off he engages the controller. From that point on - through high-speed flight, vertical landing, shut down and the next vertical take-off - the rotor pitch is completely automatic with no pilot input. In order to keep the initial take-off Gs down the rate of pitch increase is also controlled. In addition, to stop the very high inertia rotor a brake had to be installed. According to Carter, "The rotor design allows for a tremendous amount of energy to be stored - about three times the energy per pound of gross weight of any other rotor system. By developing an automatic control we have made it simple and safe to manage that energy." A patent for the new, automatic, rotor pitch change controller is currently pending. Carter continued, "We couldn't be happier with the last test results. We've completed the hours of flight-testing required by the FAA since the rotor changes were made, but we will continue to look at the overall safety and response of the systems. There are still some features that we would like to add like an electric starter, but we feel the CGD/T can now visually demonstrate that the age of true personal flight is at hand. We now have a vehicle that can safely take-off from your driveway, fly 200 miles, and then safely land and take-off from a truck stop to refuel, or a restaurant to eat, or a hotel where you can spend the night. 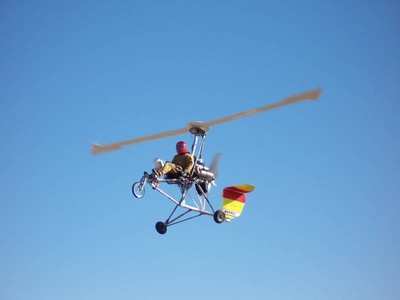 The CGD/T is a mini-Personal Air Vehicle (PAV). It is a glimpse of what our fully enclosed, 2+2, PAV prototype will be capable of when it is introduced later this year." Carter plans to use the CGD/T to publicly demonstrate the capabilities of their technology and to preview their new Personal Air Vehicle. 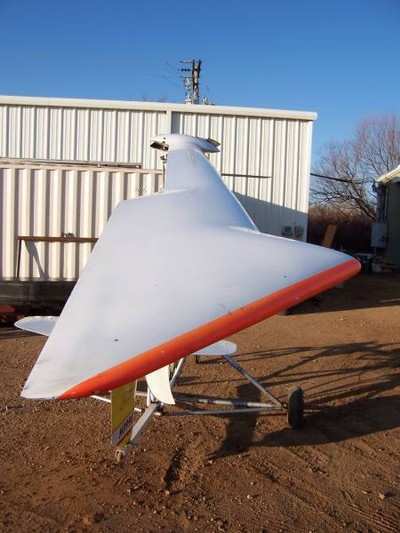 The PAV is now scheduled for flight-testing in mid-2007.